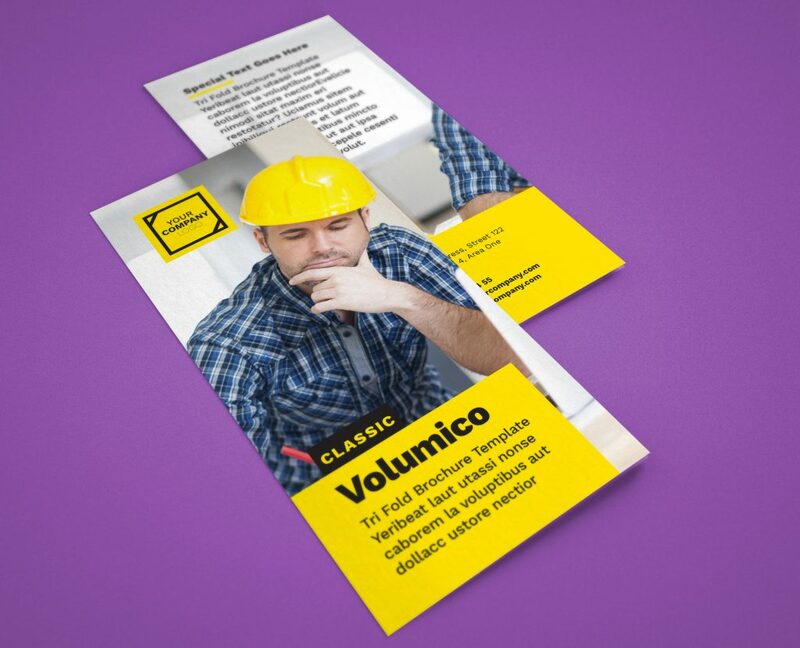 Volumico is an A4 tri fold brochure created with Adobe InDesign application. In this template we used free font Work Sans and download link is added in Read_me.html file within package. Also you can use fonts of your choice and replace Work Sans. 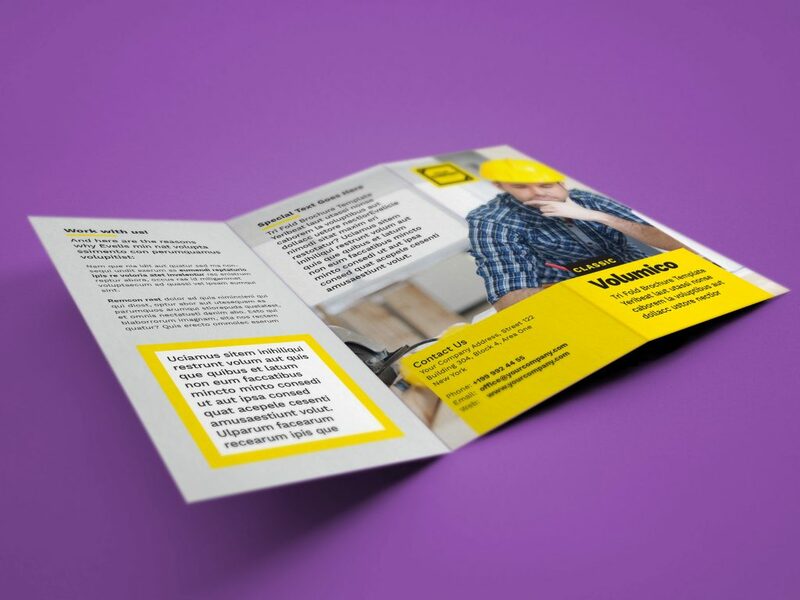 Volumico brochure template have nicely organized Paragraph styles and make editing more convenient. One color is used as main or brand color, so you can easily adjust whole template to better fit your brand or style with one click on Branding Color swatch in Swatches panel. 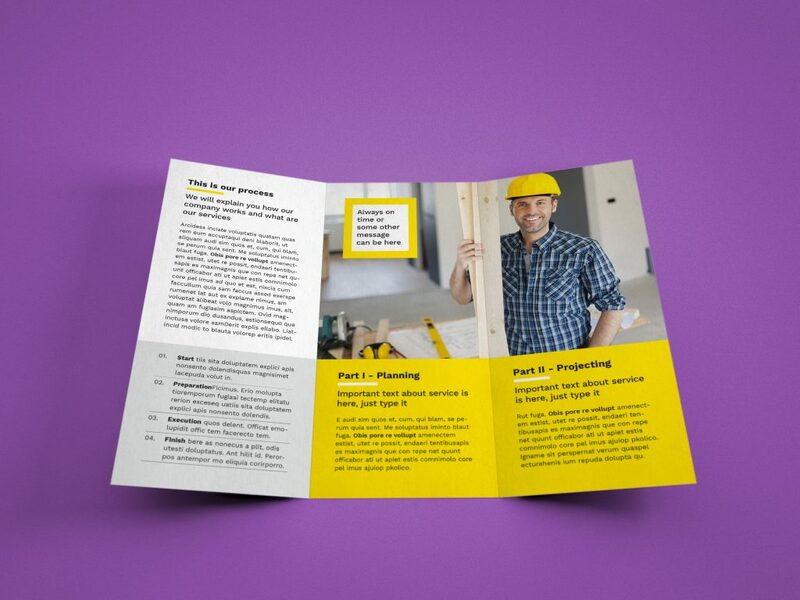 If you want your brochure to send for printing, during PDF export or print to PDF procedure, make sure that in your PDF settings General > Pages > Spreads are checked and in Marks and Bleeds > Use Document Bleed Settings also checked. Images used in this template are just for preview purpose. You will need to replace our placeholder image in template with your own photos.